Work performed by factory direct and certified installers. A+ Better Business Bureau satisfaction rating. 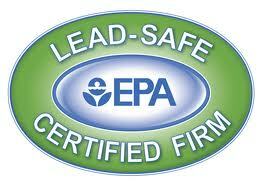 We care about the safety and satisfaction of our customers. If you're looking for help with your roofing or window project, know that Valor Exteriors is a local contractor who can help. Over the past 30 years, Valor Exteriors has grown from a small, family-owned business to a leading roofing and remodeling contractor in Central MD and Washington Metro, proudly serving Lanham, New Carrollton, Glenn Dale, and many surrounding areas. When you work with Valor Exteriors, you are promised quality products and installation at a fair cost. Our installers are trained and experienced to ensure the best results. We partner with GAF and some of the other best manufacturers in the industry to bring you materials that are attractive, long-lasting and have the best warranties in the industry. We stand behind every warranty by allowing it to be transferred to the next homeowner should you decide to sell your home. Because we are factory-certified, the shingle roofs we install are eligible for special warranties and backed by the nation's largest roofing manufacturer, so you know you will be covered. During your free in-home consultation, we can discuss which roofing products and warranty option would be right for your home. Contact us today to schedule your free cost estimate! 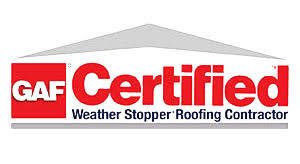 We are the area's GAF Certified Weather Stopper Roofing Contractor and proud members of the National Roofing Contractors Association and National Association of the Remodeling Industry (NARI). Whether you need roof repair, new roof installation, or replacement windows, Valor Exteriors is your trusted local contractor in Silver Spring, Baltimore, Greenbelt, Mitchellville, Arlington, Springfield, Alexandria, and the Central MD and Washington Metro area.